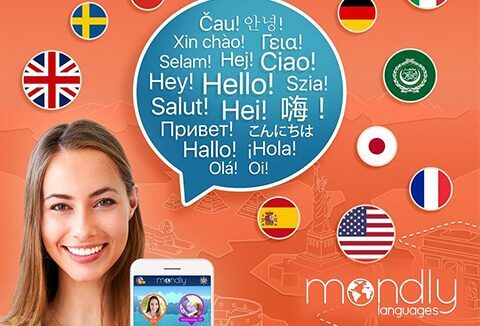 Get fluent in foreign languages faster than you think - learn online with Mondly, your personal language tutor! Learn the language you always wanted to learn. Fun, fast, and easy! A Quick Look At How To Learn Languages Online With Mondly! By combining solid neural science with cutting-edge technologies, Mondly manages to create a unique experience to learn languages online that will get you talking new languages faster than anyone else. 250 lessons organized into practical topics to help you tackle real-life situations. 33 conversations for particular day-to-day scenarios to achieve native-like fluency. 36 vocabulary builders so you can develop a strong sense of language. Over 1300 daily lessons (from 2015 up to now), weekly quizzes and monthly challenges that will help you create a fun learning-routine that you will want to stick to. Exclusive courses in Augmented Reality. Chatbot with world-class speech recognition technology which gives you instant feedback on your pronunciation so you'll be able to correctly employ what you've learned. Conjugation tables and grammar features that will give you advanced knowledge of the language. What Do Others Think Of Mondly To Learn Languages Online? Mondly gets glowing reviews from experts and users worldwide. Play Your Way To New Foreign Languages. With Mondly At A Price Of $99.99 Only! Easy, step by step learning of another totally foreign language. I am daily learning chinese and occasionally french, russian and japanese. The daily motivation is great!